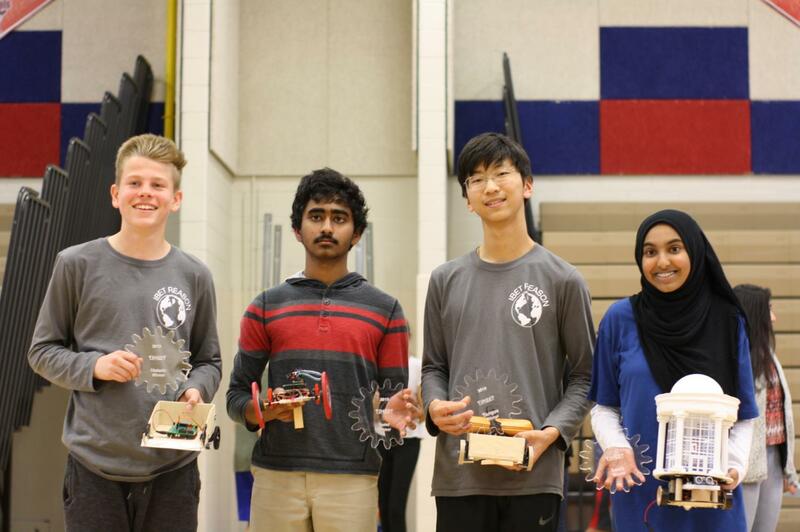 Freshmen Ryan Angle, Junho Lee, Akshan Sameullah, and Isra Satiar pose with their trophies and robots. 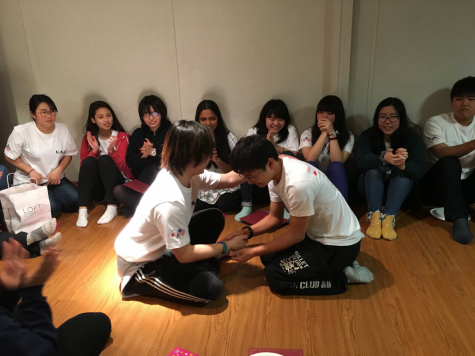 They won the maze, torque, speed, and beauty competitions. 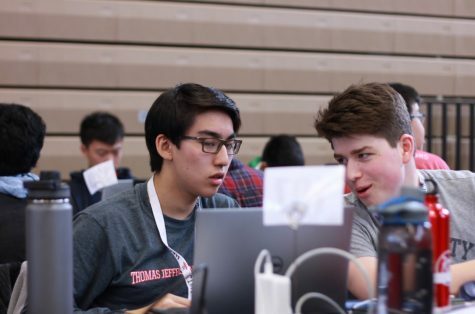 Rife with its usual mix of triumph and disappointment, the annual freshman robot competition was well underway on April 12. Ryan Angle, Junho Lee, Akshan Sameullah, and Isra Satiar won the maze, torque, speed, and beauty contests respectively. 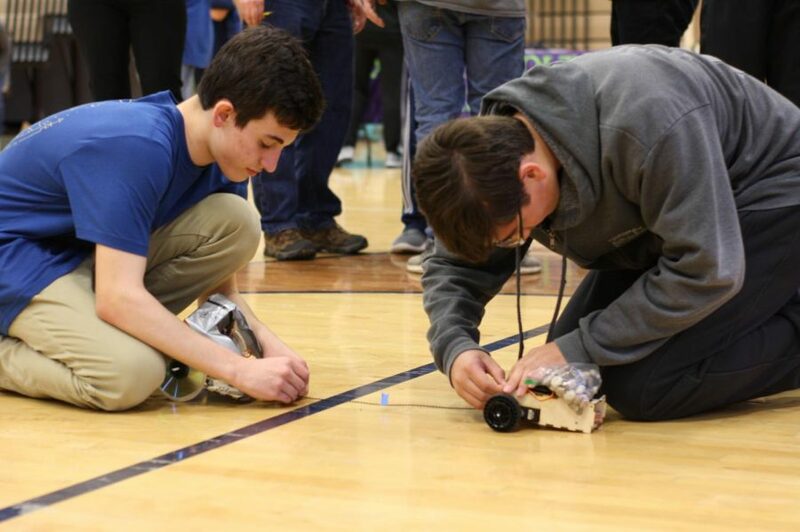 Felix Cherkasskiy and Matthew Lucio set up their robots for the torque competition to see who moves on to the next bracket.